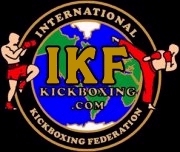 FINAL OF "The Tournament To Bangkok"
IKF Referees: Dan Stell & Vichai Supkitpol "Rex"
(**) Patrick Villalobos first licensed with IKF CA on 8-4-15 and listed his fight record as 2-0 with 4 Smoker bouts. However, on this event, he claimed a record of 1-0. IKF is keeping his previous record and has included it in the above as 3-1. (**) Sovankesa Som record prior to this event was 5-7. However, on this event, he claimed a record of 5-6. IKF is keeping his previous record and has included it in the above as 5-8. Defeated **Matthew Suddeth (El Monte, California, USA, 0-1, 156.2, 5'6'', 8-17-96, Allen Madrid, (626) 391-1709, (FP: 2-21-16) - (RN: 2-21-16) - (LU: 2-22-16) by TKO at 1:18 seconds of round 2. Matthew Suddeth was issued a 30 day no training and 45 day no competition Medical Suspension until April 7, 2016 by Dr. Mitch Jelen. Judge Francisco Granillo: 10-9 Madrigal. Judge Marcos Granillo: 10-9 Madrigal. Judge Vichai Supkitpol: 10-9 Madrigal. Judge Francisco Granillo: 29-28, Diaz. Judge Marcos Granillo: 29-28, Rodriguez. Judge Dan Stell: 29-28 Rodriguez. Defeated Corey Fisher (Pasadena, California, USA, 7-5, 145, 5'10", 11-15-92, Walter Michalowski, (626) 577-7800, - (FP: 6-5-15) - (RN: 6-5-16) - (LU: 2-22-16) by TKO at :49 seconds of round 4. Corey Fisher was issued a 30 day no training and 45 day no competition Medical Suspension until April 7, 2016 by Dr. Audrey Konow. Judge Francisco Granillo: 30-27 Martinez. Judge Marcos Granillo: 30-27 Martinez. Judge Dan Stell: 30-27 Martinez. Roman Puga showed and was on weight as scheduled. 3-15-16: It was confirmed today that the event Matchmaker had not confirmed Daniel Lopez for this bout - Suspension was removed. Andrew Olivarez-Perez showed and was on weight as scheduled. Mike Madrid was a no show and has been Suspended 90 days until MAY 23rd, 2016, for not contacting the event promoter prior to the event.